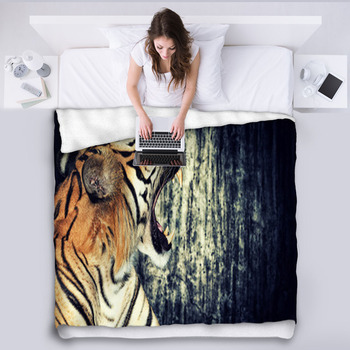 Bring the majesty and beauty of the jungle right into your bedroom with the amazing tiger blankets at VisionBedding. com. 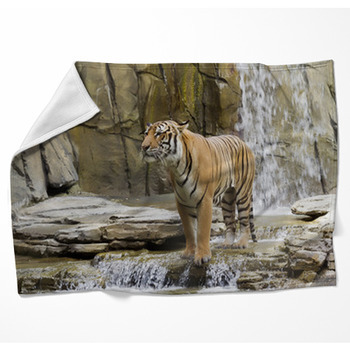 The creatures on these blankets are no mere cartoon images, but are photo-realistic. 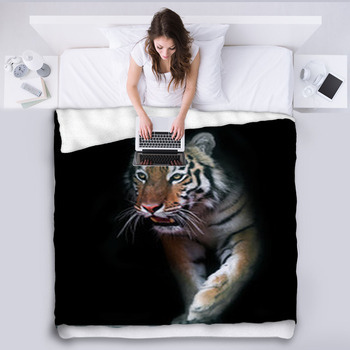 You will half expect the cats to jump off these unique blankets! 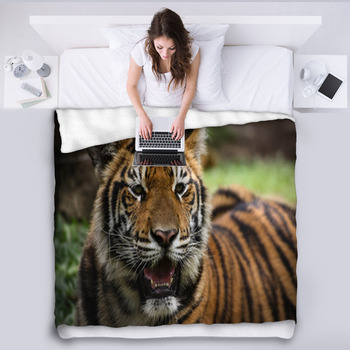 Are you or someone you know big into tigers? Perhaps someone loves Nature in all its glory. 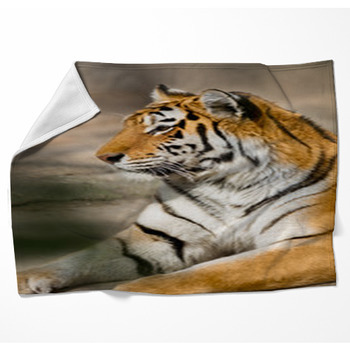 Our colorful and personalized tiger blankets will be the perfect gift for them. 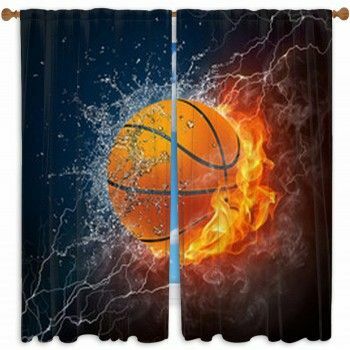 Or even if you just want to indulge your own interest in wildcats, you'll want to check out our huge amount of tiger designs for your blanket. 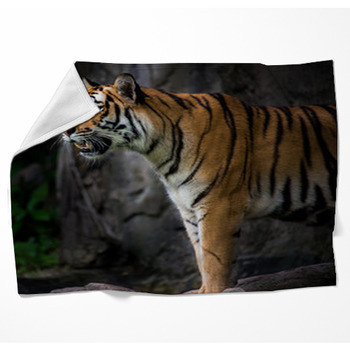 You'll almost want to hang these gorgeous photographic tiger blankets on the wall! 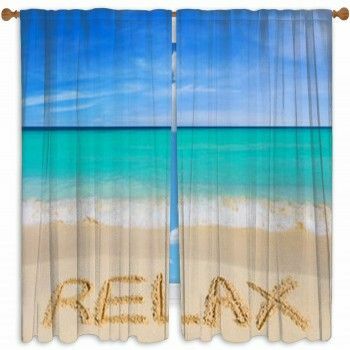 Almost, but the utter comfort level with these blankets will convince you to place them on your bed. 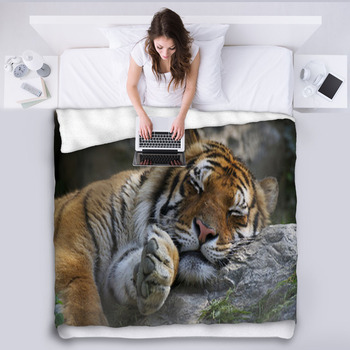 What's more, if you want to personalize your tiger blankets, VisionBedding makes that a breeze. Any customized message you'd like to put on it, whether someone's name, or just a message to that person, we'll gladly include. 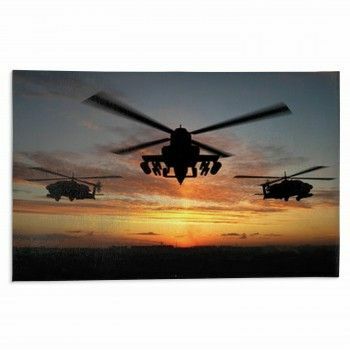 This turns your blanket into something truly memorable! Want to create a complete jungle theme? 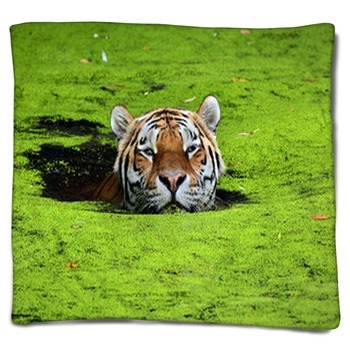 Accent your tiger blankets with other accessories from our collection, such as tiger wall art and pillows. 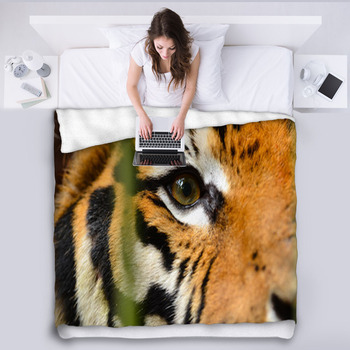 So begin designing your own custom tiger blankets today and find exactly what you're looking for in our tiger design gallery of hundreds of images. 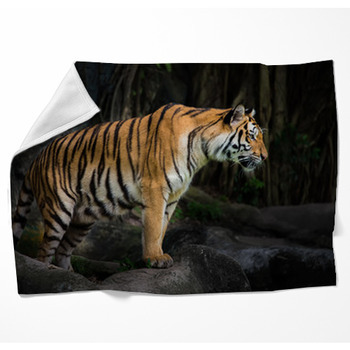 Why not turn bed-time into more than just a nightly ritual; turn it into a safari with our tiger themed fleece blankets.